You’re Invited! Poems and Stories about Animals at Good Shepherd Center, Seattle: Tuesday, Nov. 18, 7:00 p.m. Many, many thanks to Seattle poet, editor, and winemaker Joannie Stangeland for her write-up of Impossible Lessons as her Saturday Poetry Pick yesterday! Her lovely words are here. In a wonderful coincidence, I’ve been reading her new book, In Both Hands. The poems there are haunting, replete with precise images of beauty and loss. I’m falling in love with, and going to school on, these incredible poems. Be sure to read another recent post of Joannie’s, in which she describes her current writing projects. I’m thankful for an abundance of opportunities to share poetry in the New Year. Next week, I get to participate in the SoulFood Poetry Night at Soul Food Coffee House in Redmond, Washington. I’ll be reading with Bethany Reid, whom I also had the privilege of interviewing for the Blog Hop last February. She’s author of the poetry collection Sparrow, which won the Gell Prize in 2012. The poems in Sparrow are gorgeous. Bethany writes about growing up on her family’s cattle farm, about her daughters and horses (I especially love her poems about horses)–and in language that’s precise, original, and felt by the body. I got to hear her read some of the poems in Bellingham last October, and her voice lends these poems an even-more pleasurable presence. SoulFood Coffee House is located at 15748 Redmond Way; click here for map and directions. Our reading will start at 7:00, followed by an open mic at 8:00. Please join us if you can! Yesterday, the Bellingham Herald ran an Artist Profile of me in advance of my chapbook launch next Wednesday. The interviewer, Margaret Bikman, had me discuss details about my writing process and my attraction to poetry in order to shed light on the poems in Impossible Lessons. If you’re interested in those things, or in learning more about my mysterious past, please check out the interview here. Happy weekend, and thanks for reading! How Do I Get My Hands on This Book, You Ask? Please go ahead and judge this book by its cover, which I like very much. 2) If you can come to my book launch celebration at Village Books on July 10 (7:00 p.m.), I’ll sign your copy and probably also give you a hug. 3) If you live elsewhere in the U.S., please email me at jenniferbullis (at) comcast (dot) net and give me your mailing address. I’ll email you back with my mailing address; you mail me a check for $10, and I’ll mail you a signed copy. Postage is on me! Please know that if you buy through Amazon, neither my publisher (MoonPath Press) nor I receive any income for the copy. That’s why I’m plugging these other options. 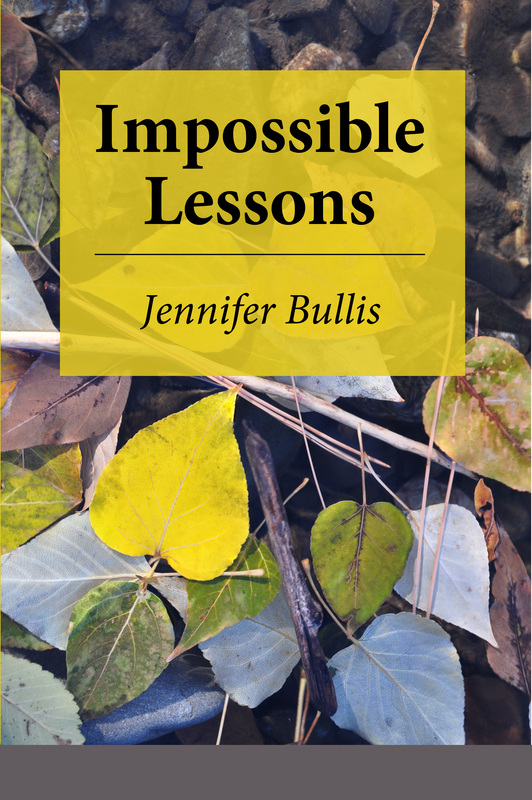 However, I do encourage you to visit the Amazon page for Impossible Lessons so that you can browse the first several poems of the book and read the embarrassingly sweet blurbs that some poet-friends of mine wrote for the back cover. 4) If you live outside the U.S., please do order your copy through Amazon.com. Their magical international sourcing elves will ship it to you for much cheaper than I can arrange. Thank you, dear readers, for all your support and enthusiasm about this book! I’m delighted that it’s finally here to share with you! * If you live in Whatcom County and your name happens to be Lee, John S. (of John and Lee), John S. (the other John S.), Luci, Marya, Jeff, Sherri, Jeremy, or Carol–you all know who you are–don’t you dare buy a copy! I will be delivering yours to you in person. OMG! My Chapbook! It’s Here! Today I came home to a huge carton on my doorstep. From CreateSpace. Could it be–already? Yes, Dear Readers. Yes it is. I am, as you might guess, giddy. It is 43 pages of poems, elegantly arranged over 58 pages, Oreo-cookied between one of the loveliest photos ever taken of fall leaves in the Methow River and three of the most embarrassingly glowing blurbs ever to grace a back cover. I can hardly believe it. 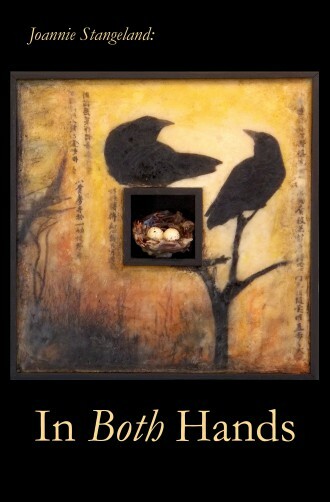 I’m profoundly grateful to Lana Hechtman Ayers, editor and publisher of MoonPath Press in Kingston, WA for inviting me, exactly one year ago today, to submit my manuscript for her to consider publishing; for her artfully selecting and shaping the poems into sequence; and for her meticulous care and patience throughout the process of editing and producing the chapbook. I thank Tonya Namura, too, for designing the cover so beautifully and laying out the text. This is my dream come true! And my thanks to you, Dear Readers, for your enthusiasm and encouragement about this project. It’s been fantastic to be able to share this great news with you throughout the process. I’ll post details soon about getting copies of the chapbook into your hands. It was the June I turned four. I remember being transfixed by the flags, the marching bands, the drum majorettes twirling and tossing their shining batons. Then came the horses. I suppose they were ridden, probably by ropers and trail riders and rodeo princesses. But what I saw were the horses—gold, black, dark red, spotted—and gleaming. The sharp brightness of the horses’ coats was matched by the sharp sounds they made, every jogged step punctuated by a hard clack as each steel-shod hoof met the street. The rhythms of the horses’ strides meshed with each other and unmatched, cadent and cacophonous. I listened, smelled the horses’ salty sweat, and watched their elastic bodies arch and stretch. I pulled on my mother’s hand, looked up into her face, and quietly spoke: I want one of those. Order My Chapbook from Village Books–Ships for 99¢!